April 23, 2019 at 4:05 pm PDT May contain affiliate links. Read disclosure. For a limited time only (or while supplies last), L’oreal is offering a FREE L’oreal Sublime Bronze Self-Tanning Towelettes and they’ll even mail it for FREE! Just Click Here, then fill out the form to claim your FREE sample! Don’t Miss Out! April 23, 2019 at 3:56 pm PDT May contain affiliate links. Read disclosure. Through June 30th, new Sam’s Club members can get a 1-year membership, a $20 gift card and additional instant savings for just $45! To qualify for this offer, you must enroll in auto-renewal for your annual membership fees. Join today and get your first $20 purchase basically Free with your gift card! April 23, 2019 at 3:46 pm PDT May contain affiliate links. Read disclosure. 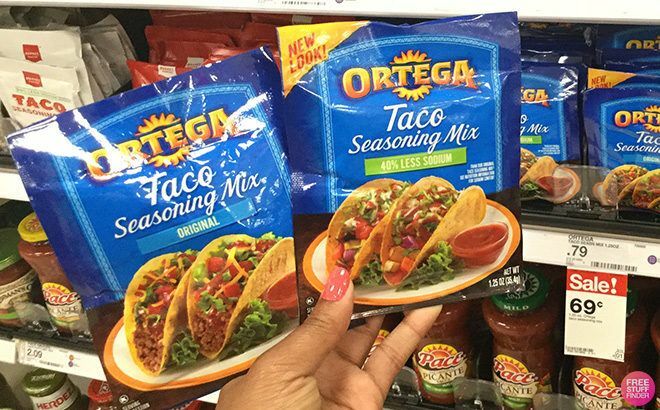 (Deal ends May 4th) Visit Target and score a great deal on Ortega Taco Seasoning & Shells. They are currently on sale for 69¢ and $1.29 respectively (regularly 79¢ and $1.49), but if you buy 2 of any of those and pair that with $1 off two Ortega products printable coupons, you can get them for just 19¢ and 79¢ each! Mother’s Day is just around the corner (Mother’s Day is May 12th this year!) making this the perfect time to start planning ahead for an awesome gift for mom. Photo gifts are the perfect way to give a personal gift to mom, pick your favorite family memory and have it printed on a pillow, canvas, or coffee mug! Be sure to place your orders early to they arrive in time. Check out some of these awesome photo deals just in time for Mother’s Day. York Photo is offering a FREE 11oz. Ceramic Coffee Mug with promo code FBHOT at checkout – regularly $11.99! This offer is only available for new users. Just select your mug design, upload photos and apply promo code FBHOT at checkout to snag this deal! Score a FREE 11×14 Custom Canvas Print from Easy Canvas Prints. These are normally priced at $108 making this a great deal! You’ll just cover the shipping charge of $18.95. Even with shipping, you still save over 80% off the regular price! Just select the FREE 11×14 size, upload your photo, and just $18.95 at checkout. Easy Canvas Prints is also offering up to 93% off a Custom Canvas Photo Print, with prices starting at JUST $4.90 for the 8×8″ size. You can also score the popular large 16×20″ size for just $21.91, normally $156.47. Just select your size and upload your photo! The discount will automatically apply at checkout. ❤️ FREE 11×14 Custom Canvas Print ($70 Value) – Just Pay Shipping! If you want to snag yourself a second FREE canvas, check out CanvasPeople where you can score a FREE 11×14 Custom Canvas Print. These are normally priced at $80, but you’ll pay just $18.95 for shipping. Just upload your photo, select the 11×14 size, and your discount will apply at checkout. April 23, 2019 at 3:27 pm PDT May contain affiliate links. Read disclosure. Through April 27th, stop by Walgreens where they have the 20 oz cans of Dole Pineapple Chunks on sale at 2 for $2 or $1.49 each. This is regularly priced at $1.89, so that’s 53% savings! Even better, there’s a Printable Coupon you can use to pair with the sale price and save even more. Just grab two cans for $2, and use the $1 Off Two Dole Canned Fruit 15oz+ to make your final price JUST 50¢ each. April 23, 2019 at 3:12 pm PDT May contain affiliate links. Read disclosure. April 23, 2019 at 3:07 pm PDT May contain affiliate links. Read disclosure. Through April 26th, head over to Sam’s Club and score a great deal on Burt’s Bees Lip Balm and Toothpaste. Regularly priced $36.88, you can now get four 4.2 oz. cartons of Burt’s Bees Toothpaste and 8 lip balms for just $24.48! Also, shipping is FREE for Plus members. April 23, 2019 at 2:59 pm PDT May contain affiliate links. Read disclosure. 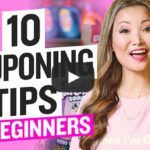 April 23, 2019 at 2:49 pm PDT May contain affiliate links. Read disclosure. For a limited time only, head over to Amazon where you can score Etekcity Digital Kitchen Scale Multifunction Food Scale, 11lb/5kg in Silver for JUST $9.98 (Reg $19)! This scale features a stainless steel platform design, it is user-friendly, petite, it has a new milk volume function, 30 seconds backlit off, white clear backlit and upgraded measuring sensors. Shipping is FREE on orders of $25 and more or if you are an Amazon Prime member. Don’t miss out! 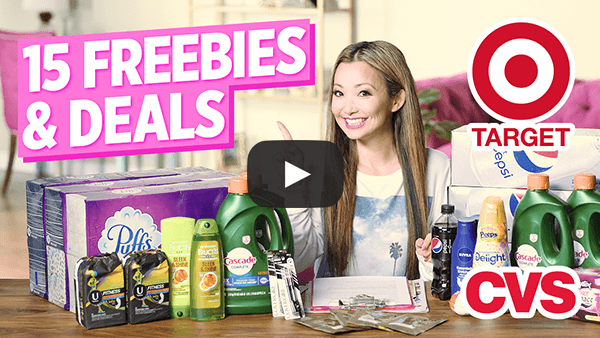 April 23, 2019 at 2:39 pm PDT May contain affiliate links. Read disclosure. Head over to Sephora and score this awesome deal on Fenty Beauty by Rihanna Killawatt Foil Freestyle Highlighter Palette. It’s regular price is $54, but now you can get it for only $38! Plus, you can get FREE shipping for orders over$50 , or you can opt for FREE 2-day shipping with Sephora FLASH. Don’t miss out! April 23, 2019 at 2:32 pm PDT May contain affiliate links. Read disclosure. While supplies last, you can have a FREE personalized Mother’s Day greeting card sent to mom featuring your pet/s! All you need to do is fill out this form, upload your favorite photo of your furbabies, and wait for the card to be sent to your mailbox! Supplies are limited, so hurry!